Color Consult has created several apps for Enfocus Switch to extend the functionallity of Switch. They solve some tasks that would have required special scripting without these apps. All apps have a 30 day trial period for you to test the app in your production. This app will let you construct a JSON file with content from Switch variables. You simply write your JSON code and add different variables from your Siwtch metadata. THe works with Switch 13 update 1 to Switch 2017 update 1 in a simpler mode where there is no validation of your JSON code. If you have Siwtch 2017 update 2 and higher the app will do validation check of the JSON and the job will fail if the code isn't correct. The difference in behaviour is due to support for JSON from version 2017 update 2 of Switch. If you have the Summa MIS you can use this app to set job status in the job order in the Summa system. You have 10 different status codes that you can set when the job passes this app. It requires that you have connection to a Summa MIS server. This app can make barcodes in a number of different variants. You set the bacode value in one of the properties and you get a file as barcode. The app is triggered by an incoming file that will be deleted and exchanged for the barcode file. The property for the barcode values can be from a Switch variable with from sources. Barcodes are saved as .eps, .pdf, .png or .svg. For PDF-output you need to have GhostScript installed on the Switch server. The barcode creation is done with an application called Zint that you have to install separatelly on the system. This is an Imposition app that automaticly imposes 1- or 2-pages PDF's in an 1-up scheme. As long as the page fits on the available sheet size it will place as many as possible on the sheet. You can set a gap value between each page and also a bleed value. 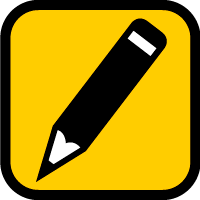 This app uses callas pdfToolbox server as the imposition engine, it is very quick and doesn't use much process power. It can also do multiple processes if you have a lot of files at the same time. It also has a manual mode where you can set you imposition layout to your liking. Only limit is that you can only fit a maximum of 24 pages on one sheet. All the settings can use variables meaning that you can send a job from your MIS-system with the properties for the imposition if you use the manual mode. If you get data from your customers in Excel-format for use to make business cards or addressing you need to convert the XML to something usable for Switch. This app will convert the Excel spreadsheet to XML or embed it as metadata dataset in the job file. You can either save it as one XML-file per row or as one complete XML-file for each worksheet in the Excel file. The file must be in the XLSX-format. For some user cases you will need data as delimited text files. This app can save your XLSX-file as Comma-separated, Semicolon-separated or TAB-separated text files. You just select the type you want in the properties. This is a very useful app that let you construct your own XML for use in Switch flows or to send to other system from your Switch server. With the available variables in the Switch flow you can build an XML-file which can be sent as an report to your MIS-ssytem to update statuses on your job. This app is also used to create XML but in several steps, it can pick up metadata and send it to the next part of the flow where you can add more metadata to it. By doing so you can collect information from the flow in different steps and create a complete report for other uses. Such a report can collect info about the job as inkcoverage, preflight status and other metadata about the job. It can save several datasets to one job or add info to an existing dataset. Switch don't have the built in possibility to do calculations on dates, this app solves it. One common case is that you want to send out files to some one on a specific date and need to calculate that date from the current date. 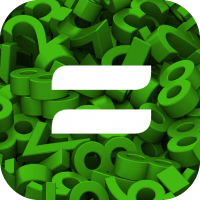 This app can add or subtract a number of days from a date. It will also work over change of months. For example add five days to August 29, will result in September 3. This is a simple app that let you construct a script file for use with the Switch element "Execute command". In some cases you need to run a sheel script (or BAT-file) from Execute command with several lines of code to perform the task. If you then need to have Switch variables in that script it becomes complicated. With this app it is simple. If you need to add pages or duplicate pages in a PDF this app will solve this. Several options for how you can add pages in to the page order of multi page files. You can also make copies of a series of pages in the order 1 1 1 1, 2 2 2 2, 3 3 3 3 or 1 2 3 4, 1 2 3 4, 1 2 3 4. In the series you can add a divider page between each copy or insert a page between each page. For example a 1-8 page file might need an identical backside or another 1-8 page file as backside. You have several possibilities to make the combination you need. In a 1-page PDF-file this app lets you add copies of that page to a multi page file. Can be usefull for simple imposition jobs. For a lot of image types you can save them as thumbnails or just convert them to another format in its original size. You can save the images in TIFF, JPEG, GIF, PNG of PDF. For the image formats you can set the resolution for the saved file. The app has its settings in the outgoing connections wich means that you can have several outgoing connections saving in different formats from one input file. This app requires that you have Image Magick in your system if on Mac, in Windows Image Magick is embeded in the app. This means that this app can convert any format that Image Magick supports and save as the above mentioned formats. If you have GhostScript installed you can also save thumbnails from PDF-files or convert them to image formats in its original size. If you have a lot of images with an embedded clipping path this app lets you sort out them from images that don't have a clipping path. If you receive CSV files for your production they might have column headers that are not suitable for the produtction. This app lets you change the name of one column at the time, if you need to change more than one column you can just chain the app for several processes. You can set it to change the header based on the name of the header or jsut by the number of the column order. 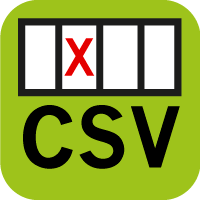 In some cases the CSV file has columns that you don't need for the production, this app let you delete one column based on the column number. If you need to remove multiple columns you just add more instances of this app. This app will reorder the columns in a CSV file, you select the column by number and can insert it before or after another column. If you need to reorder more than one column in the file you just add more instances of the app for the next reorder process. To alert the production manager or just send a confirmation to a customer that the job has arrived this app will send an SMS to a specified number. This number can be from a variable in metadata. This app uses SMS providers to send your message and you have to set up an account with the one you select to use. The app has support for a variety of providers. The providers will charge you a small fee for each SMS. The message itself can have variables as part of the text. If you need to send large files to your customers with automation this app solves that for you. Sprend is a file distribution service were you upload to the Sprend server and you customer will get an email with a download link. All the settings for the Sprend account are in the app. Advantage is that the customer doesn't need to hassle with FTP clients and remember different usernames and passwords, they just click the link in the email and downloads the file with their browser. If you upload a large number of files you need to subscribe to the Sprend service, paying customers will also benefit from higher transfer speeds. If you have any suggestion for an app that could solve a specific problem send me an email and I will help you solve the problem. Or if you need some help with Switch Scripting, let me know.